Floral trend is one that just won’t go away. It has been in full bloom for as long as we can remember. Be prepared to embrace your feminine side with floral print dresses, swimsuits, shoes, and even sunglasses. The Korean fashion designers have a unique take on the floral trend. Our favourite pick is a white cherry floral dress, which is not too casual for work, yet brings out the feminine side of you. What sets it apart from the usual floral dresses is the outer layer of the dress made from organza. Yes, organza – the new fad. Organza is traditionally used for evening wear but today, these brilliant Korean designers have figured out how to put them in daily wear to add that extra classy finishing touch. 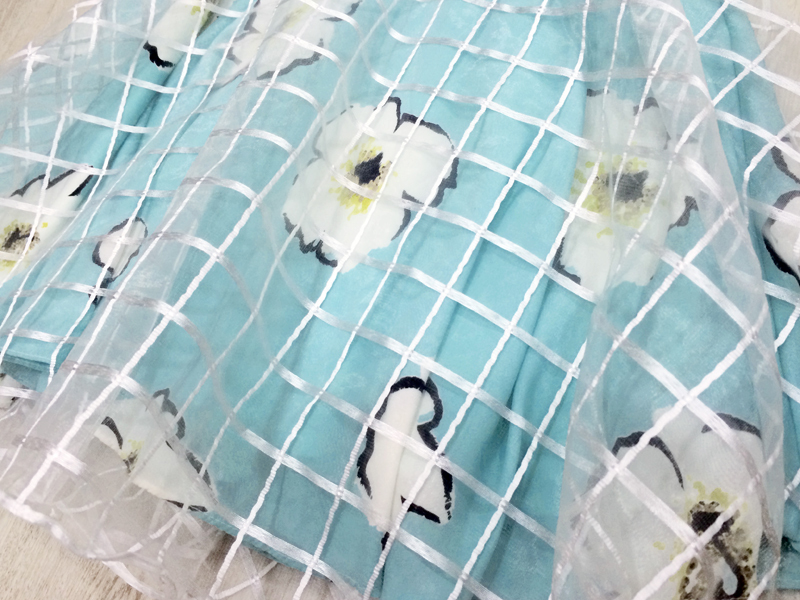 See the shiny silvery checks on the organza? That’s why I totally love this dress! With floral prints, we typically want to go with a simple bag. We picked Kate Spade’s Gold Coast Evangeline in cream. The design and the gold hardware on this bag compliments the classiness of the dress perfectly. 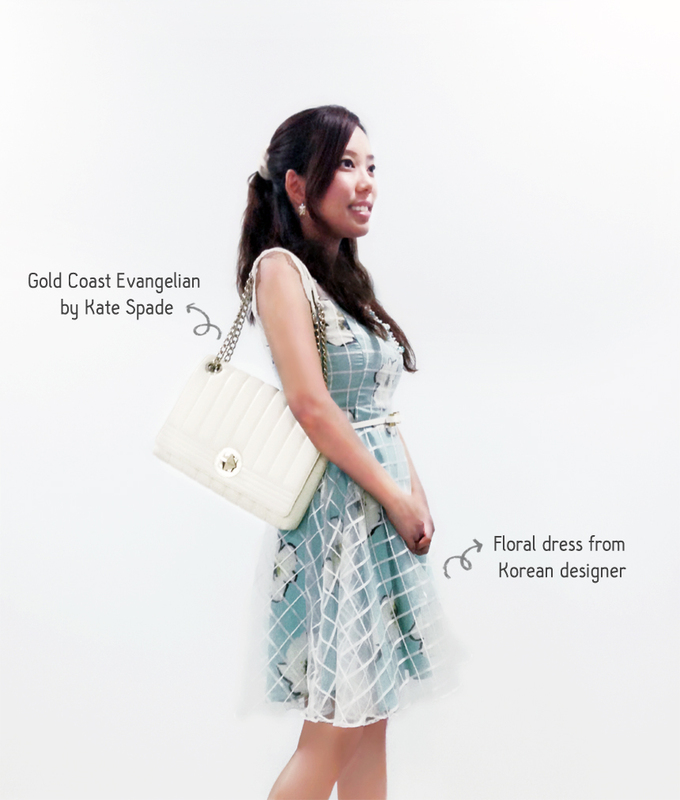 The classic Evangeline bag also makes it suitable for evening events. Celebrity Katrina Bowden had been spotted at the 9th Annual Dressed to Kilt Fashion Show flaunting it. ps. Kate Spade’s Gold Coast series such as the Evangeline are no longer in production. Fortunately, we stocked them up. Grab yours before they’re out!